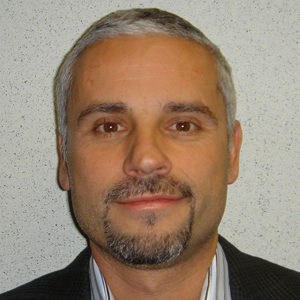 Joseph Grillo is CEO, ACRE LLC, and Managing Director, Vanderbilt International GmbH. A 30-year veteran of the electronic security and identification industries, he has a track record of successfully growing, restructuring and acquiring businesses. Grillo began his career in the 1980s, and he has worked with a long list of successful companies including HID, Assa Abloy, and now Vanderbilt International. From 2001 to 2007 Mr. Grillo was promoted several times at Assa Abloy, eventually running its $750M Global Technology Division which included HID, the Hospitality business and Besam Automatic Doors; he retired from the company in 2007. Mr. Grillo graduated from the University of Connecticut with a Bachelor’s Degree in Finance. He served as President and Board Member of the Security Industry Association (SIA) from 1998-2007. ACRE, global provider of state-of-the-art security systems, announced that it has entered into a definitive agreement to acquire Open Options based in Addison, Texas. Strategic Acquisition Of ComNet And ACT This purchase will enhance ACRE’s strategic expansion plans for strengthening its access control business and product portfolio. This is the latest M&A activity since ACRE completed the acquisitions of ComNet (Danbury, Conn.) and Access Control Technologies “ACT” (Dublin, Ireland) businesses in 2016. Open Options will significantly increase ACRE’s position in the access control market, with emphasis on North America. Open Options, Access Control Solutions Firm For 20 years, Open Options has developed access control solutions that connect to leading security technologies to deliver a full-scale solution based on each customer’s unique needs. Open Options has been a Mercury Security partner since 1997 and is dedicated to delivering the most advanced open-platform access control solution available on the market. The acquisition of Open Options boosts Vanderbilt’s reach in the access control market" ACRE’s CEO, Joseph Grillo, stated that this transaction will continue to expand ACRE’s competitive position in a highly fragmented market with great growth potential. “The acquisition of Open Options boosts Vanderbilt’s reach in the access control market and enhances our product portfolio with the addition of an open architecture access control solution,” commented Grillo. “With the international portfolio fully integrated, it was time to turn our focus to North America.” Open Architecture Access Control “We are pleased to join the ACRE or with its strong global reach which will open new opportunities for the Open Options product range,” said Steve Fisher, Open Options Founder and CEO. Financial details of the transaction were not released. The transaction is expected to close in the fourth quarter of 2018. One of the biggest recent security divestitures in the news was the sale of Mercury Security to HID Global, which occurred around a year ago. The seller in that transaction was ACRE (Access Control Related Enterprises), also the parent company of Vanderbilt and ComNet. We recently spoke to founder and CEO Joe Grillo, a 30-year industry veteran, about the mergers and acquisitions (M&A) market, ACRE’s future, and new opportunities opened up by the Mercury sale. Q: What’s new with ACRE? Grillo: We have an opportunity to have organic growth and to have some scale on a global basis to be a decent size player" ACRE is a company I founded in 2012, and since then we have had six acquisitions and one divestiture. We’ll never focus on ACRE as a brand, but we currently have more visibility of ACRE as a parent company with our two strong brands, ComNet and Vanderbilt. Last year was a very busy year [with the sale of Mercury Security to HID Global] because it takes as long to sell a brand as to buy one, maybe more so. Q: What’s next? Grillo: What you are seeing from us this year is that we are again in a buying mode. No announcement yet, but we expect one by the end of the year. We are well-funded, have great partners, and see an opportunity to continue to grow acquisitively as our highly fragmented space of access control continues to consolidate. From the standpoint of ACRE, with the ComNet and Vanderbilt brands, we are also doing more integration on the backside – not what the customer sees. We will continue to grow toward a $200 million business. We were there when we owned Mercury, and we will get there again. We have an opportunity to have organic growth and to have some scale on a global basis to be a decent size player. Because ACRE are owned by a private equity company, we are brought into every opportunity: ComNet is a good example" Q: Do you see the M&A market being more competitive – more companies looking to acquire? Grillo: There’s a lot of money chasing not-so-many deals, so evaluations can get expanded. But as interest rates creep up, it is definitely a challenge to find the right valuation, the right financing and the right strategic fit. It is a very strategic market. Q: There have been some big acquisitions lately. Were you guys involved at all in evaluating those opportunities? Grillo: Because we are owned by a private equity company, we are brought into every opportunity. An example of that was ComNet. I would not have been aware that the founder passed away two years ago and that there was this opportunity to own the business. So we look at everything; anything that’s out there we look at. The biggest recent announcement in our world was S2 (being sold to UTC/Lenel), and, yeah, we looked at that. It didn’t fit our profile – it was too expensive. Great business, and it’ll be interesting to see how it fits into the UTC environment. There was also Isonas [which was recently sold to Allegion], but the size didn’t add enough scale, but I like the technology. ComNet sells communication networking solutions and products, which is more attractive than video systems for ACRE Q: So what are you looking for in an acquisition? Grillo: It’s hard for us to find something that moves the needle, and you have to find that right balance. Is it something we can digest and have the financing for, and also is there room on the back end? We are private equity-owned, so we know there will be an exit for our investors, too. So we have to find the right balance, good valuations, the right size and digestible. If you look at our acquisitions, we have done two “carve outs.” The Vanderbilt name didn’t exist until we bought the business from Ingersoll Rand, and then we bought the [intruder] business from Siemens. That’s how Vanderbilt came about. You get a lot of value when you carve out a business, but there’s a lot of work. In the case of Mercury or Access Control Technology (ACT) that we acquired; they were growing and profitable but they stretch your finances a lot more. So you have to find the right mix in there. Q: Does video interest ACRE at all? Grillo: We have to find the right balance, good valuations, the right size and digestible"ComNet is our video play. ComNet sells communication networking solutions and products, and 70 to 80 percent of that is used for video systems. But unlike cameras, which don’t interest us, it’s actually good margins, highly specialized repeat business and with good channel partners. So where are we going to play? Cameras – no (because of commoditization). We have some recorder technology (from the Siemens acquisition) and we have the communication networking technology (with ComNet). On the software side, we have looked at a lot of the VMS companies, and a lot of them have been on the market. But the valuation expectations can be high because they are software companies. And we really believe in partnering as a good thing, too. If we integrate to Milestone or Salient or some of these companies, we will never lose an access control client because they chose a particular VMS. Q: ACRE is also looking to grow organically, isn’t it? Grillo: From a technology perspective, we are a product company and we are continuing to bring new products to the market with the ComNet communication networking business and the access control business. And in Europe, we have a third leg of the stool, which is the very successful intrusion and burgular alarm business we acquired from Siemens (SPC products now sold under the Vanderbilt brand). That business continues to do well and is now one of the highest performing segments in our portfolio.The intrusion and burgular alarm continues to do well and is now one of the highest performing segments in our portfolio" Q: But you don’t have to own a company to make it part of your solution. Grillo: An important word is integration. We have to integrate to all the wireless locks. We have to integrate to the VMS systems. But we don’t have to own them. Q: How has the Mercury Security divestiture impacted the rest of your business? Grillo: It has opened up the opportunity for us to look at Mercury partners as possible acquisition targets without worrying about conflicts with the very good business of Mercury. We have more flexibility now compared to the Mercury era. Q: How will the economic cycle impact the security market? Grillo: Interest rates are a much bigger issue than the overall economic cycle. We talk a lot about it with our owners – clearly interest rates are tightening up. If you go out to do acquisitions or to borrow money to do something with your business, it will be tougher than it was two years ago, and it may get worse in the next two years. Security is less impacted by the economic cycle than some industries. ACRE, global integrated technology solutions and services provider announced that CEO Joe Grillo has been named as a 2018 IFSEC Global Security & Fire Influencer in the Security Tech Leaders category for his ability to drive technological innovation and elevate the industry globally. 2018 IFSEC Global Security & Fire Influencer The list of influencers, which is selected by a panel of highly respected judges, seeks to recognize fire and security professionals who are influential in improving regulation, standards/guidance or best practice; driving the success of the organization they lead or are employed by; or being a prominent, persuasive voice in the media. Grillo has been a regular on the list over the last several years for his efforts to elevate ACRE and its brands within the industry and beyond. For more than 30 years, Grillo has been actively involved in the electronic security and identification industries, where he's been successful in growing, acquiring and restructuring businesses. He is well known for being a founder of HID, as well as its Vice President of Sales and Marketing, COO and President, where he led the company’s growth for its sale to Assa Abloy, where he eventually ran the $700M Global Technologies Division. Grillo founded ACRE in 2012 and has steered the company through several acquisitions in the electronic security industry with a primary focus on access control. This past year, ACRE sold Mercury Security to HID Global, further solidifying his role in the consolidation of the market. Electronic Security and Identification Expert “Throughout my career, I've had the privilege of working alongside executives who share the same vision for sales growth fueled by innovation and the goal to expand the security industry into the mainstream,” Grillo said. “The IFSEC Global influencer recognition is an honor that I share with these individuals.” ACRE's brands Vanderbilt and ComNet will participate in IFSEC International June 19-21, at ExCeL London, at Stands F305 and E420, respectively. ISC West 2018 concluded as its largest and most successful show to-date, bringing more than 1,000 exhibitors and brands, 30,000 industry professionals, more than 85 educational sessions and more than 25 special events together in Las Vegas. That's why ACRE, the parent company of Vanderbilt and ComNet, chose this event to debut its brands in a co-located position on the show floor, allowing visitors to peruse both booths during their visits and chat with a more integrated team. Earlier this month, ACRE announced the promotion of ComNet's Andrew Acquarulo to President of ACRE Americas, and the addition of the role of President of ACRE International to ACRE COO Ronald Virden. The two attended ISC West in their new roles, delving into conversations around the biggest trends dominating the show, including issues of privacy, how the cloud is emerging as a major player in the security industry, cybersecurity and the need for manufacturers to play a significant role in future-proofing their solutions. Recipient Of The SSI 2018 MVP Award Vanderbilt was named as a recipient of the Security Sales & Integration 2018 MVP Award for its ACT365 solution in the access control category At ASIS 2017, Vanderbilt previewed the ACT365 cloud-based access control and video management solution, which was just beginning to hit the market in the Americas in the last quarter of 2017. During this year's show, however, ACT365 was officially ready and available to end users, and it was well received as a great option for small- to medium-sized businesses looking to increase their security footprint without having to make significant IT infrastructure investments. In the April issue of SDM Magzine, ACT365 is featured prominently in the case study section, outlining its use by IT firm Spectrum Virtual to protect critical data and assets from breaches. In fact, Vanderbilt was named as a recipient of the Security Sales & Integration 2018 MVP Award for its ACT365 solution in the access control category, recognizing the product for making a substantial impact on integrators. The awards are judged on innovation, functionality, competitive advantages, benefits to the installer or monitoring provider and benefits to the end user. Hall Of Fame Recognition ACRE CEO Joe Grillo was also recognized during ISC West as he was inducted into the Security Sales & Integration Industry Hall of Fame Class of 2018 for his 30-year career growing, acquiring and restructuring businesses. Founded in 2004 to represent the highest commendation for going above and beyond in professionalism, conduct and achievement, the Hall of Fame recognized Grillo for his career in electronic access control and his track record as a leader within the industry. The entire ACRE family thanks all the visitors and partners who joined Vanderbilt and ComNet during the three-day expo and welcomes the opportunity to continue the conversation at another one of our upcoming events around the globe. ACRE, a global provider of security products and solutions for the access control, intrusion, smart traffic and video surveillance markets, has announced the appointment of Ronald Virden as Chief Operating Officer, effective April 1, 2018. With extensive experience in senior leadership roles with global entities, Virden will help to elevate ACRE’s position in the electronic security marketplace, seek new opportunities for growth, and strengthen the momentum following recent strategic deals. “Following the divestiture of our Mercury Security business last year, ACRE fully expects to focus again on growth, both organically and through new acquisitions,” said Joe Grillo, CEO of ACRE. “In order to do so, we were looking to expand our already strong management team. Adding someone with Ron’s experience represents a great opportunity for ACRE. His experience and track record are impressive.”Virden is a seasoned global executive with extensive experience with Fortune 50 organizations Business Expertise “ACRE has built a significant business by combining the powers of multiple brands that deliver disruptive technologies and services addressing a wide variety of organizational requirements,” said Virden. “Having led companies through rapid growth periods to significant scale and business success, I saw that my experience could help propel ACRE to even greater success and I am pleased to have the opportunity to join the company as it continues to evolve.” Virden is a seasoned global executive with extensive experience with Fortune 50 organizations. He most recently served as President and Managing Director for Global Security Products, Americas/Global Access Solutions at UTC, encompassing UTC's Interlogix and GE Security brands, as well as Supra, Onity and Lenel. Prior to that, Virden was President and Managing Director of GE Industrial Systems, GE Security/Supra, where he more than doubled international revenue and drove the strategic development of products to address specific market needs globally. He holds an MBA from the University of Phoenix. HID Global®, a subsidiary of ASSA ABLOY specializing in trusted identity solutions, has signed an agreement to acquire Mercury Security, an OEM supplier of controllers for physical access control. Mercury Security has over three million controllers installed at tens of thousands of sites worldwide, including at more than 90 of the Fortune 100 companies. Mercury’s intelligent controllers, interface boards and software complement HID’s readers, smart cards and mobile IDs for opening doors. Advancing HID Global Leadership “The acquisition of Mercury Security will advance HID‘s global leadership in the physical access control industry, adding Mercury Security’s high-quality controllers to HID’s product portfolio while extending HID’s installed base of millions of users beyond the readers and smart cards that we are already well known for,” said Stefan Widing, President and CEO of HID Global. “Customers of both HID and Mercury Security will benefit from tighter and more seamless integration of controllers with readers and credentials, as well as from our shared vision for an open, flexible approach to access control.” Selling Mercury Security Products to HID Global is Access Control Related Enterprises, LLC (ACRE), owner of Vanderbilt, a manufacturer of access control, intrusion and video solutions, and ComNet, a manufacturer of video and data transmission equipment. ACRE CEO Joseph Grillo stated, “Divesting Mercury after many years of success since ACRE purchased the business in 2013 is a strategic move that allows ACRE to focus on its core Access Control, Video and Intrusion businesses under the Vanderbilt and ComNet brands. HID is the perfect home to provide for the continued growth and success of Mercury, which will remain a valued technology supplier to Vanderbilt.” Mercury has relationships with nearly all the significant OEM partners and has been working together with HID as a partner for over a decade Closing The Acquisition HID’s acquisition of Mercury Security is subject to regulatory approval and customary closing conditions. The closing of the deal is expected to happen by Q4 2017. Financial terms of the agreement are not being publicly disclosed. Houlihan Lokey Capital, Inc. and Raymond James & Associates, Inc., acted as financial advisors to ACRE and Mercury. Based in Long Beach, California, Mercury has relationships with nearly all the significant OEM partners and has been working together with HID as a partner for over a decade. 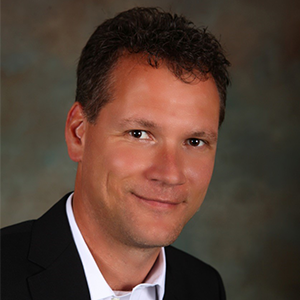 Pending the close, the Mercury Security team will report into HID’s Physical Access Control Solutions (PACS) business, which is led by Harm Radstaak, Vice President and Managing Director. The remaining ACRE portfolio consists of global brands and provides over 2,000 products across access control, intrusion, video and cloud-based access and video systems in 95 countries. ComNet offers a broad line of fiber optic, copper, and wireless video and data transmission equipment designed for security and surveillance applications in intelligent transportation systems, utility and industrial markets. ACRE Security Industry Acquisitions ACRE was formed in 2012 by security industry veteran Joseph Grillo as a platform to consolidate acquisitions in the electronic security industry. ACRE acquired the Schlage SMS business from Ingersoll Rand in 2012, followed by the 2013 acquisition of Mercury, the 2015 purchase of the Security Products Division of Siemens AG, and the 2016 acquisitions of Access Control Technology (ACT) and ComNet. Millions of people around the world use HID products and services to navigate their everyday lives, and over 2 billion things are connected through HID technology. HID works with governments, educational institutions, hospitals, financial institutions, industrial businesses and some of the most innovative companies on the planet. Headquartered in Austin, Texas, HID Global has over 3,200 employees worldwide and operates in more than 100 countries. HID Global® is an ASSA ABLOY Group brand. Vanderbilt, a provider state-of-the-art security systems, announces the addition of SPC Connect to its SPC product portfolio, a hosted cloud-based solution designed specifically for installers to monitor, manage and maintain SPC panels remotely from any location. Cost Effective Design And Installation The Vanderbilt SPC series of hybrid intrusion detection systems offer a cost-effective design and installation concept, with both wired and wireless capabilities for intrusion coverage. SPC can be tailored to small businesses, with applicability through large multinational enterprise organizations. With the addition of SPC Connect to existing SPC systems, end users have the ability to update SPC panels remotely, saving time and money on dedicated site trips, or hardware and software upgrades. SPC Connect users can manage SPC panels, and perform operations and status checks across groups of systems, instantly and remotely, as well as access event logs or view cameras. The system also has the ability to configure direct messaging by email in the event of an alarm. SPC Connect only requires a Web-based browser connected to the Internet. Significant Cost Reduction The SPC Connect solution allows customers the option of paying for only what they need, significantly reducing the costs associated with the upfront purchase and installation of traditional software solutions, as well as the ongoing costs associated with maintenance and upgrades. As an installer's business grows and more users need to be added, the monthly SPC Connect subscription can be adjusted. “SPC Connect brings intrusion detection to an entirely new level, leveraging connectivity with scalability and flexibility - all of which are critical to today's end users,” said Joe Grillo, Vanderbilt CEO. “Mobile capability is at a premium in our society, and many businesses require the ability to control their security on the go. SPC Connect allows this in an easy-to-use application for complete control over the intrusion detection systems already in place, and offers a cost-effective solution for end users, dealers and installers.” End users can download the SPC Connect app for free from the Apple Store or on Google Play, providing an interface that contributes clearer arming and status information as needed. All the user's interactions through SPC Connect are secured with financial-grade SSL security, offering peace-of-mind and powerful control. ACRE continues to rapidly expand presence in the global security industry ACRE, LLC, the holding company that owns Vanderbilt Industries, Mercury Security, and recently acquired ACT in Ireland, announced the acquisition of Communication Networks LLC (dba ComNet), a manufacturer of video and data transmission equipment. Wireless Video And Data Transmission The acquisition of ComNet builds on the ACRE family of companies, providing complimentary communication technologies utilized across its access control, intrusion, video, and cloud-based product ranges. ComNet offers a broad line of fiber optic, copper, and wireless video and data transmission equipment that is designed to meet the needs of security and surveillance in the intelligent transportation systems, utility, and industrial markets. ACRE CEO Joe Grillo stated, “In line with our mission, the ComNet acquisition, with their extensive offerings in the communication and data transmission technologies, continues to round out the product portfolio provided by the ACRE family of companies.” Acquisition Benefits Commenting on the acquisition, Andrew Acquarulo Jr, ComNet CEO and President, declared, “ComNet is excited to join the ACRE group and recognizes the strength it will bring to the brand and the synergies that are immediately apparent with the other ACRE companies.” The ACRE portfolio consists of global brands that feature proven technologies and long-acclaimed reputations for innovation and a high level of customer service and support. Mercury Security provides innovative OEM hardware for facility security and access control systems. Vanderbilt provides over 2,000 products across traditional access control, intrusion, video and cloud-based access and video systems in 95 countries. Since its acquisition of Security Products from Siemens, Vanderbilt has caused a buzz in the security industry Vanderbilt will attend Security Essen for the first time this year, and will be exhibiting the latest developments across all three of its product ranges – Access Control, Intruder Detection and Video surveillance. Recent Activity Since its acquisition of Security Products from Siemens 15 months ago, Vanderbilt has caused quite a buzz in the security industry. A combination of its global reach, independent structure and technical expertise is without parallel in the industry, and helps to explain its prolific growth over that time. Indeed, the last 15 months have been a period of considerable activity for Vanderbilt. A rationalized supply chain management and logistics infrastructure has been initiated, which is already improving product availability to customers. This is being complemented with a program of activities that will integrate Vanderbilt’s global operation across 95 countries worldwide, making over 2,000 products available to all customers on increasingly short lead times. Vanderbilt has also made a number of key appointments to strengthen the senior management team at the company. Aliro 2 Access Control On center stage at Security Essen Vanderbilt will feature Aliro 2 - the latest generation of Vanderbilt’s industry leading access control solution. Building on the success of its predecessor and created alongside external developers, Aliro 2 is suitable for small to medium sized commercial applications, boasting easy to use Internet based software and intuitive mobile features. Utilizing the advanced Mercury firmware platform, which provides unrivalled control, monitoring and data manipulation, it supports, as standard, 64 doors and 5,000 users and, with additional software licenses the system can be increased up to 1,024 wired doors, 1,024 wireless doors and 25,000 users. Visitors will also be able to see how it works with MiFare card readers featuring an integral LED based screen that facilitates cardholder interaction by displaying messages. Integration with Aperio is one of the highlights in the new feature set of Aliro 2 but there is much more to come as this new system paves the way for Vanderbilt’s future migration strategy. SPC Intrusion Panel One of the strongest intrusion product ranges available on the market, SPC has obtained more approvals than any other, both European and further afield Vanderbilt’s highly successful SPC intrusion panel will also be featured on the stand. One of the strongest intrusion product ranges available on the market, SPC has obtained more approvals than any other, both European and further afield. Vanderbilt continues to develop even more attractive features for this range including its SPC Connect – which will also be demonstrated at Security Essen. This cloud-based innovation provides customers with remote access to control panels, safe in the knowledge that the process is highly secure, thanks to the implementation of financial grade SSL security. Another exciting new aspect of SPC Connect is that installers can customize how they view data by setting up a feature which allows them to manage and control access rights to individual panels and groups of panels. Magic Motion Detector Range Also being shown, the highly successful Magic motion detector range, which offers reliable detection of intruders and high false alarm immunity. This will appear alongside the new colour range of SPC Compact Keypads – slim, elegant, feature packed user interfaces which bring the power and sophistication of the SPC system right to a user’s fingertips. Eventys Video Range New to the video portfolio is the Eventys range, a cost effective range of cameras and recorders that are aimed at the simple set up and plug and play approach. With an intuitive interface offering outstanding functionality and flexibility, Eventys is perfect for small to medium sized installations that require up to 20 cameras. Future Expansion Joe Grillo, CEO of Vanderbilt, commented, "It has been a tremendously exciting time for Vanderbilt and we are looking forward to sharing the results of our activities. In 2016 we will attend all the major trade shows in Europe. I want our customers to see our business as one that delivers on its commitments to be close to our market and our partners. "Security Essen attracts many German and international visitors and therefore provides an excellent platform to further highlight our credentials as a uniquely independent organization that is pursuing an aggressive expansion program." The Eventys range offers variants of up to H.264+ IP compression efficiency and optimized codec technology, alongside two NVRs Vanderbilt, a global leader in providing state-of-the-art security systems has announced the latest addition to its innovative CCTV portfolio. Designed to meet the need for a cost effective solution that doesn't compromise on functionality and ease of use, Eventys offers more than you need for less than you think. Building Services Sector With the growing acknowledgment of the importance of security in buildings of all sizes, Eventys represents Vanderbilt’s ability to respond quickly to installer requirements and market pressures. It also means that those new to the security industry, such as electrical contractors, now have a product set that enables them to make the most of this burgeoning building services sector. Eventys Camera Technology The Eventys range offers variants of up to H.264+ IP compression efficiency and optimized codec technology, alongside two network video recorders (NVRs). With a simple set up procedure, these products offer outstanding functionality and flexibility, and are perfect for small to medium sized installations. Powering and connecting the cameras is a simple and straightforward exercise thanks to the use of Power over Ethernet The Eventys IP cameras feature 1.3MP to 2MP resolution with both fixed and varifocal lens options. Powering and connecting the cameras is a simple and straightforward exercise thanks to the use of Power over Ethernet (PoE), which allows energy to be supplied via the IT network infrastructure. This is coupled with automatic IP address allocation, along with auto-device detection and connection, making Eventys truly plug and play. Robust, reliable and suitable for a wide variety of applications, the cameras are built into an IP66 rated weatherproof enclosure, while advanced CMOS progressive scanning allows the camera to obtain values from each pixel in the sensor and scans to produce a complete picture. NVR Features The two NVRs are equipped with features commonly found on more expensive devices. A built in PoE switcher is standard on both four or eight channel variants that support live view, storage, and playback with up to 6MP resolution. One-touch record triggering, multiple recording types and instant playback for assigned channel during multi-channel display mode combine to offer reliable recording and review. Widening Vanderbilt's Appeal Eventys is the first significant CCTV product launch that Vanderbilt has made in Europe since it acquired Security Products from Siemens just over one year ago. This exciting new launch is part of the company’s commitment to extend its range to appeal to the widest possible market, as well as offering unrivalled performance and operating protocols. "We are tremendously excited about Eventys, which represents a refreshing range of seamless, reliable and great value IP CCTV solutions," commented Vanderbilt’s CEO, Joe Grillo, "We pride ourselves on our ability to respond quickly to market demands and design solutions that are based around our EASY IP approach – easy to install, easy to connect, easy to store recordings, and easy to view." The Innovation Talks will include two presentations from John O'Donnell, Product Manager at Vanderbilt Vanderbilt has announced that it will host a series of free to attend Innovation Talks at IFSEC International 2016, which takes place on 21st-23rd June at ExCeL, London. Experts from the company will be joined by guest speakers from its technology partners, who will offer insight and guidance on a number of hot topics that are currently affecting the security industry. Each presentation will last for 20 minutes and take place on stand G1250, where delegates will also have the opportunity to get hands on with the latest Vanderbilt technology. Individuals from across the company will also be available to answer any questions and explain how it is pioneering a new approach to supply chain management and product provision. Integration And Automation The Innovation Talks will include two presentations from John O'Donnell, Product Manager at Vanderbilt. In the first he will look at integration and automation solutions for building automation and protocols. Delegates will learn about the various applications that can interface with the SPC system, from building management systems (BMS) to home automation, exploring the benefits of protocols such as BACnet, ModBUS and KNX. 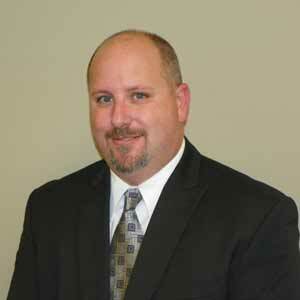 His second presentation will provide information about the benefits of becoming a Vanderbilt integration partner. He will discuss the features and benefits of the market leading SPC system and how it can offer excellent revenue generating opportunities. Alarm Management Solutions O'Donnell will be joined by Stephen Smith, Sales and Marketing Director at ISM UK, who will outline the various alarm management solutions for facilities and closed networks. He will provide insight into how cutting edge software can bring security together with CCTV intrusion and access information, allowing operators to utilize an advanced graphical user interface (GUI) in order to maximize the features and performance of the SPC system. Intrusion Detection Solutions Last but definitely not least, Jason Williams, Development Director at Monitor Computer Systems, will discuss how state-of-the-art intrusion detection solutions are being integrated within central monitoring stations (CMS). He will provide an insight into the latest Internet protocol (IP) based alarm transmission and CMS software, which is aimed at alarm receiving center (ARC) operators and installers involved in specifying suitable communication solutions for these environments. Joe Grillo, CEO of Vanderbilt, commented, "Our Innovation Talks are just one of the ways in which we aim to make a visit to IFSEC International 2016 as useful as possible. We anticipate high demand for these free events, but as spaces are strictly limited I would advise booking early to avoid disappointment."